Using Text to Speech for a ringtone on your iPhone. Now that I can no longer read without a pair of glasses, I find it necessary to come up with another strategy to let me know who's calling when I don't have my glasses on. I didn't want to use an obnoxious music clip as a ringtone to identify a caller, so instead I figured I'd use an obnoxious voice that announces the name of the caller. Instead of using my own voice, I wanted to use a generic voice - one of the voices that comes with the Mac OS X system. The first time I did this, I used an application for the Mac called "Text to Audio File", but in Mac OS X Lion, converting text to an audio file is part of the operating system. Here are the steps to create a voice to announce calls using one of the built-in voices in Mac OS X. Use TextEdit to type what you want the ringtone to say. Keep in mind that some words may have to be written phonetically. When you've typed the word (or words) you want, select them and right-click on the selection. 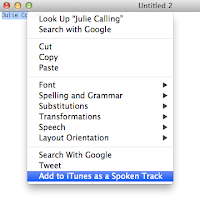 Choose "Add to iTunes as a Spoken Track", from the drop-down menu and when the Text to Audio File dialog box appears, select a System Voice and then click Continue. This will save the text as a track in your iTunes Music library. Go to your Music library in iTunes and view your library as a Song List. If you're not already showing the Kind and Date Added columns, add them by right-clicking on the column header and choosing the column name from the drop-down list. Find the Text to Speech file by sorting on the Date Added column, this will put the newly added track at the bottom of the list. At this point, I would edit the file to boost the volume a little bit and to add some silence to the end, if you don't have access to audio editing software, skip this. Right-click on the Text to Speech track and select "Show in Finder". If you have audio editing tools, bring the file into an audio editing application such as Adobe Audition or Apple Soundtrack Pro to do some minor editing to the file. I generally normalize the track to 0dB. After normalizing the clip, I will add 0.3 seconds of silence to the end of the clip. This is so that when it loops it's not as annoying as it could be. Once your audio file is complete, save it as AIFF with a name that means something to you. I usually name my ringtones "ring_<some name>.aif", where <some name> is a descriptor to identify the ringtone. Take the edited AIFF file and drop the clip into iTunes, this will add the file to your library. The library should still be sorted by Date Added, so your newly added track will be at the bottom of the list. 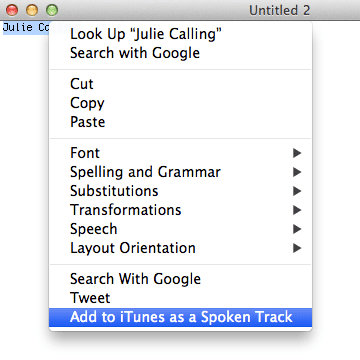 Right-click on the track and choose "Create AAC Version". Delete the original AIFF file and the original Text to Speech track from your library , including media. Keep the iTunes Media file. After you have edited your audio file and deleted the redundant copies, right-click on the AAC version of your ringtone file and select "Show in Finder". This will open a window where the actual file lives. Go back into iTunes and then delete the AAC version, but this time choose the "Keep File" option when asked what to do with the media. Go back out to the actual file in the window you had opened earlier and change its extension to ".m4r". When you double-click on that file, it will automatically be added to iTunes as a ringtone. 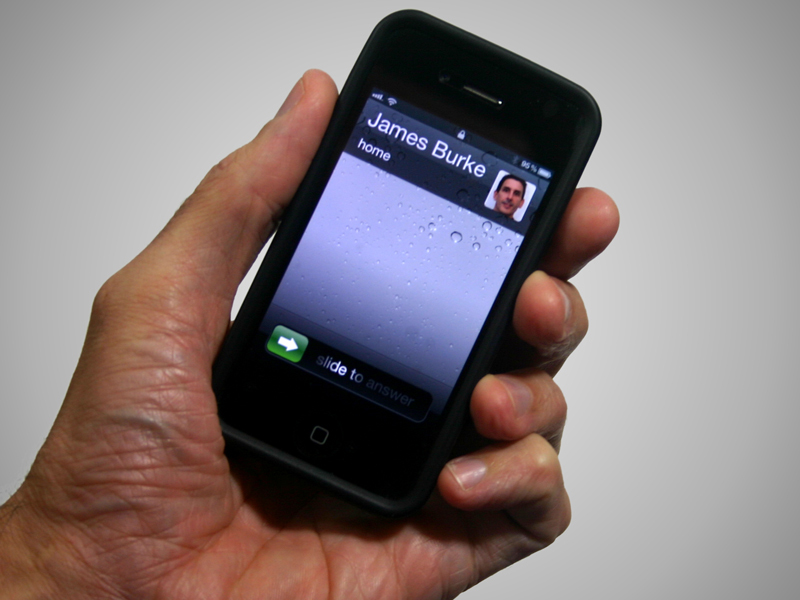 The next time you sync your iPhone, you can edit your contacts on your iPhone to attach the custom ringtone. What Format is Your Video Sample Reel?